Layered necklaces are not only very nice, but also super practical. The necklaces are connected to each other. You do not have to look for two separate jewelry for a layer effect. Is especially good when you do not have much time in the morning, but still want to look nice. This layered necklace consists of two layers. A silver coin hangs on each layer. The subtle, fine design makes it easy to combine with other jewelry. 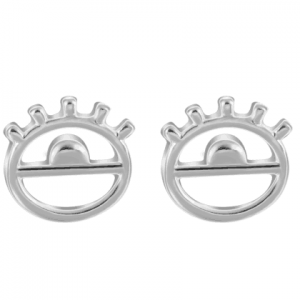 You could wear minimalist stud earrings or chain earrings. A cute geometric bracelet will also look nice. Do you have any questions about the silver layered necklace with coins? send us a message. 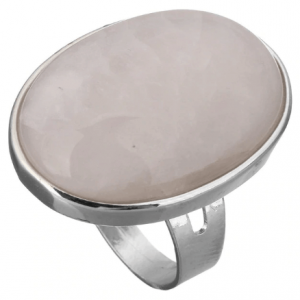 Decorate your fingers with this beautiful statement ring with pink / white stone. 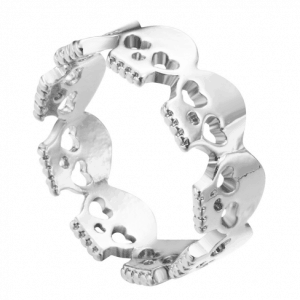 The ring has a beautiful design, which gives your outfit an upgrade. Combine it together with other jewelry. For example with a nice layered necklace in the color silver. Or with nice silver bracelets. Do you have questions about the statement ring with white stone? Send us a message. Minimalist necklaces are super nice! This subtle, fine necklace has a mermaid pendant. Mix and match this short necklace with other subtle fine necklaces, for a layer effect. Combine this necklace with for example nice stud earrings. Or with a nice simple bracelet. 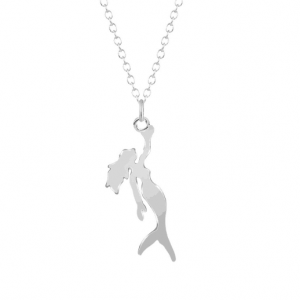 Do you have questions about the minimalist necklace with mermaid pendant? Send us a message. Minimalist necklaces are super nice and practical! 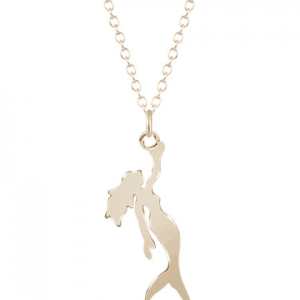 This subtle, fine necklace has a mermaid pendant. Wear several simple necklaces together for a layer effect. Mix and match it with other minimalist jewelry. Combine it with for example nice stud earrings or with a beautiful bracelet. Minimalist necklaces are super HOT! ???? This subtle, fine necklace has a pendant in the shape of a girl who jumps. Wear it together with other necklaces for a layer effect. 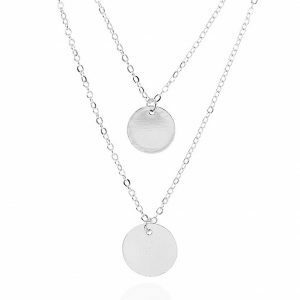 Combine this cute necklace with other minimalist jewelry. For example with nice studs earrings or with stylish bracelet. Do you have questions about the minimalist necklace with girl pendant? Send us a message. Minimalist necklaces are super HOT! 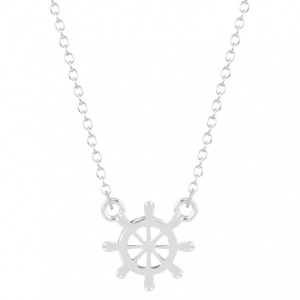 This subtle, fine necklace has a simple rudder pendant. Mix and match it with other fun minimalistic necklaces for a layer effect. Combine it with other silver jewelry. For example with nice hoop earrings or with a beautiful subtle ring. 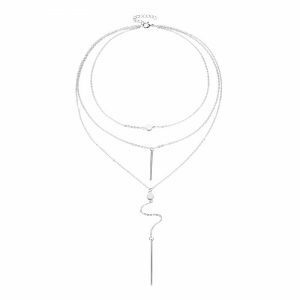 Do you have questions about the minimalist necklace with rudder hanger? Send us a message. Your outfit is complete after you wear a beautiful piece of jewelry! 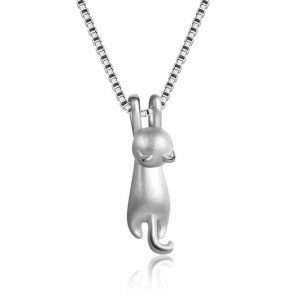 This minimalist necklace has a pendant in the shape of a kitten. Mix and match this beautiful necklace with other minimalist necklaces for a layer effect. Combine it with other silver jewelry. For example with nice studs earrings or with a nice subtle ring. 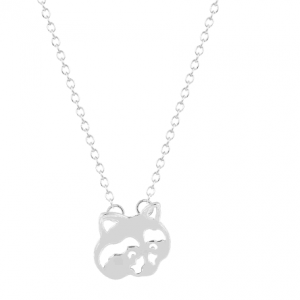 Do you have questions about the minimalist necklace with kitten pendant? Send us a message. The perfect jewel for the animal lover! This minimalist necklace has a subtle, fine cat pendant. Mix and match it with other nice necklaces for a layer effect. Combine it with beautiful studs earrings or stylish bracelets. ???? 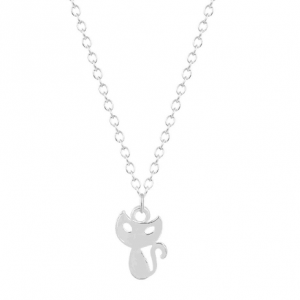 Do you have questions about the minimalist necklace with cat pendant? Send us a message. 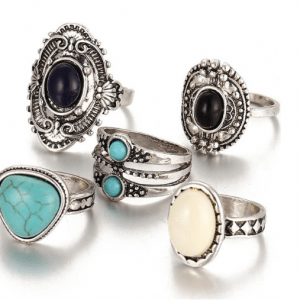 This ring set consists of five different fun boho style silver rings. Each ring has a different color stone. Mix and match it with other stylish rings. Combine it with a beautiful double necklace or with minimalist bracelets. With this beautiful jewelry set your outfit gets a boost. 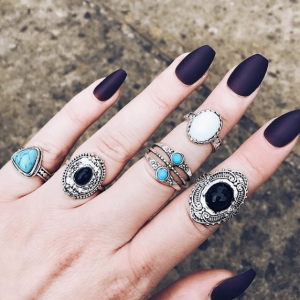 Do you have questions about the 5-piece bohemian ring set? Feel free to send us a message. Finish your look with this stylish necklace. 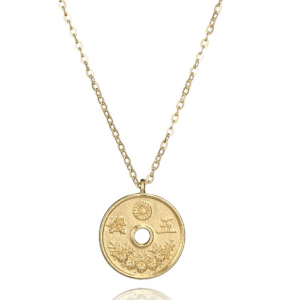 There is a gold coin attached to this beautiful necklace with Chinese characters. Mix and match this necklace with other fun necklaces for a layer effect. Wear it together with other gold jewelry. For example, combine it with nice earrings or with a golden bracelet. 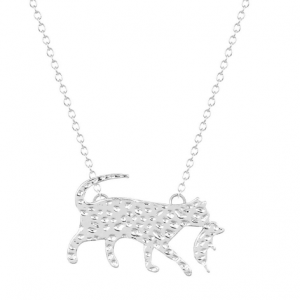 This minimalistic necklace with cat and kitten pendant is perfect for the animal lover. Combine this fun jewel with other necklaces for a layer effect. Finish your look with cute silver earrings or a nice cuff bracelet. ???? The perfect gift for the animal lover! Do you have questions about the minimalist necklace with cat and kitten hanger? Send us a message.